Manchester United have been linked with a move for Bayern Munich striker Robert Lewandowski over the past couple of weeks. The 29-year-old has been lethal since joining the German giants four-and-a-half-years ago, scoring 100 goals in 120 Bundesliga appearances. Last month we reported that the Polish star hired super-agent Pini Zahavi with the intention of negotiating a move away from the Allianz Arena and to the Premier League. Back then the reports suggested we would be battling Chelsea in a race for Robert Lewandowski’s signature. However, German magazine Kicker are now claiming that we are currently the only team in the running for the striker who has scored 32 goals in all competitions this season. Manchester United are the only club to have made an approach for Bayern Munich striker Robert Lewandowski while Real Madrid dither according to Kicker in Germany. 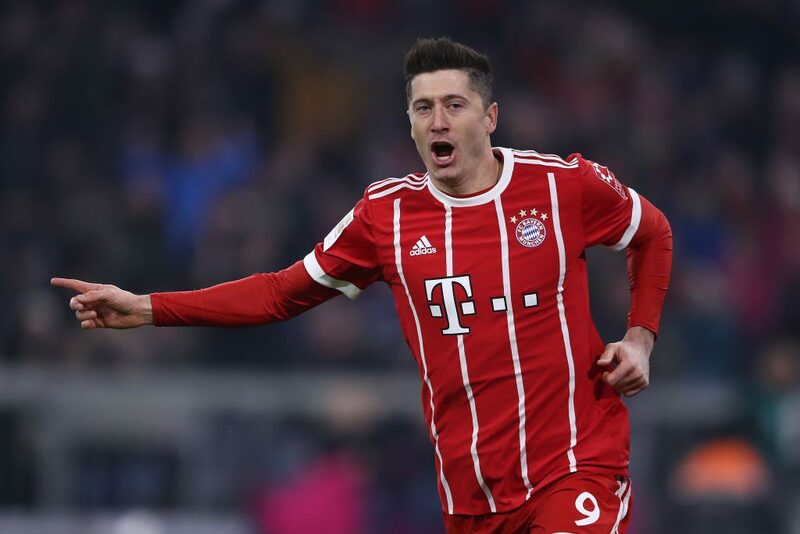 Robert Lewandowski has scored 23 goals in 24 Bundesliga appearances this season, including a hat-trick in the weekend’s 6-0 thrashing of Hamburg. The former-Borussia Dortmund hitman also has five Champions League goals in his six appearances, three goals in four German Cup appearances and one in the domestic Super Cup at the start of the season. With Zlatan Ibrahimovic likely to leave Manchester United over the summer we could certainly be in the market for another striker, though if it were to be Lewandowski, Jose Mourinho would need to find a way to start both Romelu Lukaku and the Pole on a regular basis to keep both strikers happy. Lukaku played an influential role in our 2-1 win over Liverpool on Saturday by bullying Dejan Lovren in the build up to both of our goals in the first half. The money currently floating around the Premier League gives us a great chance of signing Robert Lewandowski, even if his contract does not expire until 2021.